The demand for new single-family homes has reached its strongest pace in 10 years, reports Reuters. New home sales skyrocketed across the nation at the close of 2017, steadily climbing for three consecutive months – a positive indicator for both economic growth and a robust housing market. With the housing market expected to take off in 2018, now is the time to put down roots and purchase a home you can be proud of! Montchanin Builders is proud to offer luxurious, one-of-a-kind, new-construction townhomes in its prized Delaware community: The Overlook at Rockford Falls. This exclusive development has just 32 homesites; don’t miss out on your opportunity to find your dream townhome on the Brandywine River. A Census Bureau report shows that new home sales in 2017 shot up more than 26 percent over the previous year – marking the housing market’s strongest performance in a decade. This surge is the latest indicator that the residential real estate market is gathering momentum after a slow start. Bloomberg economists add that, compared to purchases of existing homes, sales of new construction dwellings are considered a more accurate and timely gauge of the housing market in America. “Faster economic growth in recent quarters, the booming stock market and continuous job gains are fueling substantial demand for buying a home as 2017 comes to an end… The healthy labor market and higher wage gains are expected to further strengthen buyer demand from young adults next year,” Lawrence Yun — the chief economist for the National Association of Realtors – told U.S. News. New home purchases spiked throughout America, with sales in the Midwest and West seeing notable gains with 17.9 percent and 6.4 percent respectively. However, the Northeast housing market enjoyed its best performance since October 2007, with a 30.2 percent uptick in single-family home sales this past Fall. Relatively low mortgage rates coupled with a steady job market have fostered the demand for residential real estate. Many of the new homes sold were upscale properties, reflected in the average selling price (Oct. 2017) of $400,200. According to Zillow economist Svenja Gudell, there’s a growing demand for new homes, especially among younger, first-time buyers. Last year, many prospective buyers faced a limited selection of new construction housing options, given the sparse inventory across most of the country. Imagine living in a new townhome with up to 4,000 luxurious square-feet, close to nature, ample green spaces and a short drive to shops and businesses. 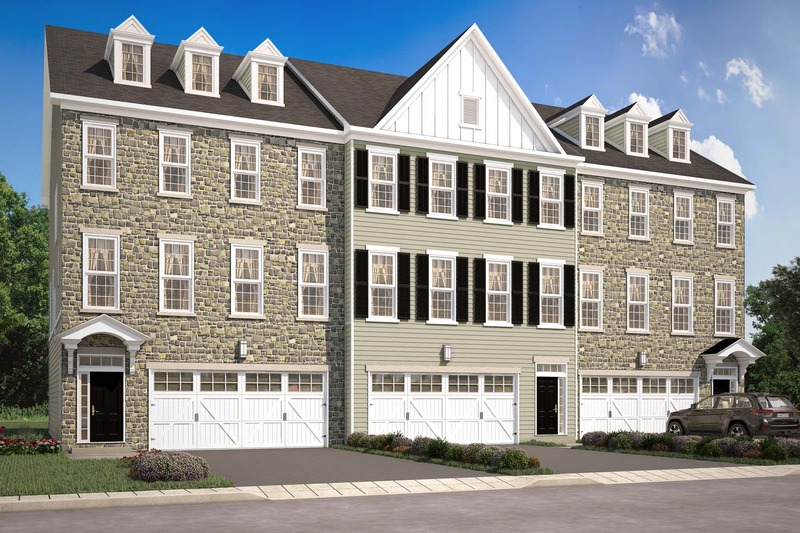 Discover a relaxing retreat located within the highly-sought after Rockford Park neighborhood, The Overlook at Rockford Falls, in Wilmington, DE. To find out more or to schedule a tour, please reach out to Montchanin Builders today at 302.472.7212!